I spent most of the weekend in Nottingham on a JKS karate course: 4 hours of training on Saturday; 4 hours of training on Sunday. By Sunday evening, my feet were aching and I was exhausted. It was a fantastic weekend but I didn't get any writing done. 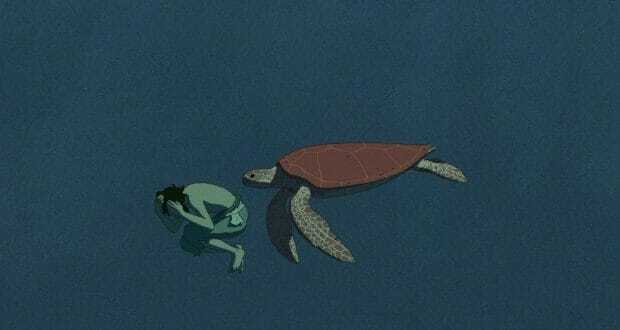 Last night my son and I watched The Red Turtle on Blu-ray. We were both profoundly moved. It's a sublime parable and a gorgeous metaphor for the journey of life, the importance of family, and the guardianship of nature. The simple story of a man deserted on an uninhabited island is open to multiple readings, and is at once life-affirming, beautiful, and achingly sad. I'd call it a masterpiece. Please see it if you can. This week I'm planning to get more edits done on some stories and get cracking on The Cabinet - the final story in a sequence of tales I started over a decade ago. I seem to have gone from having no projects on the go to having too many: a small short story collection, a potential reprint in a limited hardback edition of my Concrete Grove trilogy, and the novel I've been working on for a while. It's good but it's scary; it feels like I've forgotten how to juggle multiple creative projects and balance it all with the rest of my life. But I continue. I endure. A life without creativity, for me, would be an empty life.